The aim of this project is to train students in the problems associated with the observation of Transient Luminous Events (TLEs). The primary objective of this project is to train students in the problems associated with the observation of transient luminous events (TLEs), particularly with regard to optical and electronic devices, trigger algorithms, image processing, and TLE physics. Watec 902-H2 Video Camera installed on the roof of LPC2E. 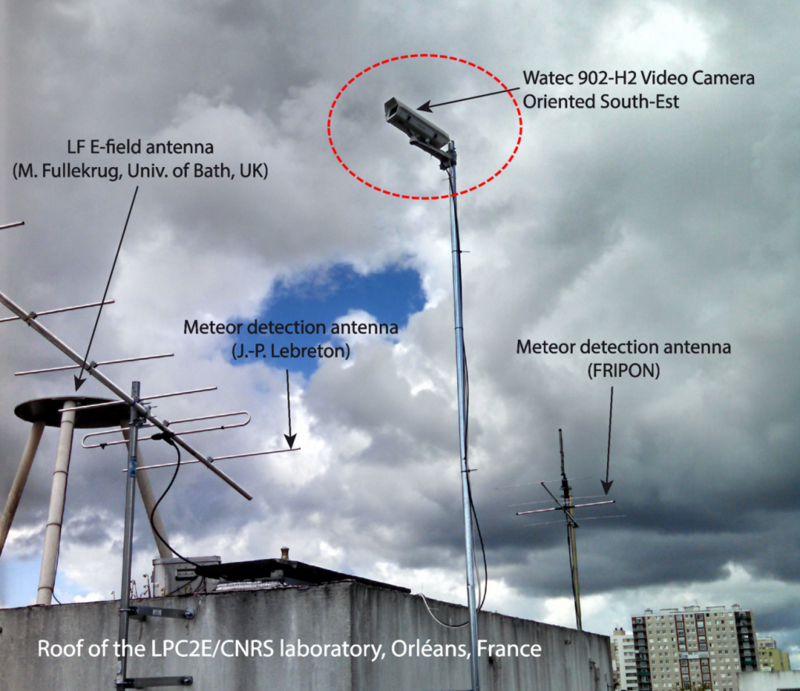 For this purpose, we installed a CCD camera on the roof of the LPC2E main building. The TLEs one can observe from Orléans are mainly the so-called sprites. The latter result from the electrostatic coupling between the charge removed by lightning in a storm and the lower layers of the ionosphere. Sprites are large scale discharges (50 km vertical) made of multiple plasma filaments and are very brief (a few milliseconds). They were first reported in the 1990s and were then considered rare events. Today we know that these events are in fact frequent and even observable from Orléans, which is nevertheless in a region with little storm activity. The following figure shows a set of sprites whose parent flash was located off the coast of Île de Ré, i.e., 375 km from the camera on 13/09/2016 at 20:06:15 UTC. 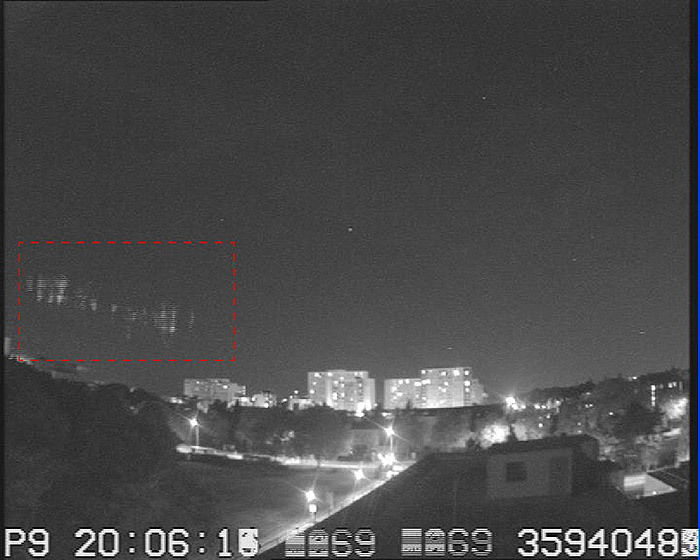 Sprite observed from the roof of LPC2E using a Watec 902-H2 Video Camera. Credit S. Célestin.